HEALTH FAIR. Education on sexual health, drug and alcohol education, kidney education, and domestic violence. 10 a.m-3 p.m. Portland OIC/Rosemary Anderson High School, 717 North Killingsworth Ct. YOUTH SHOWCASE. Support the children of Portland Public Schools as they display their talents. 6 p.m. Highland Christian Community Center, 7600 N.E. Glisan St.
SHOW AND SALE. 25th annual Ceramic Showcase, 300 artists showing, and adult and children clay areas. 10 a.m.-9 p.m. Oregon Convention Center, 777 N.E. Martin Luther King Jr. Blvd. ARTS FOR CHILDREN. Create 3-D animals with colorful paper. Ages 4 and up. 1-3 p.m. Gregory Heights Library, 7921 N.E. Sandy Blvd. WOMENS CONFERENCE. Enjoy a fashion show, luncheon, hear speakers and an all-women's choir. 4 p.m. Fellowship Missionary Baptist Church, 4009 N. Missouri Ave. GLOBAL AIDS. Learn the impact of HIV and AIDS on children around the world on World Aids Orphans Day. 6:30-8:30 p.m. Portland State University, Multicultural Center, 1825 S.W. Broadway, Room 228. STAYING HEALTHY. A night of education, resources and discussion for African American males on health. 6-8 p.m. North East Health Center, 5329 N.E. Martin Luther King Jr. Blvd. TEEN LOUNGE. Youth get tutored, use the computers, or just do homework and listen to music. 2:45-5:45 p.m. St. Johns Library, 7510 N. Charleston Ave.
SAY HEY!. 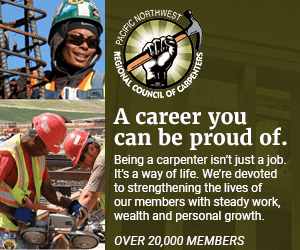 Help welcome new professionals of color to Oregon and Southwest Washington. 5:30-8 p.m. Partners in Diversity, 224 N.W. 13th. PACIFIC NORTHWEST. Attend the largest minority, women and emerging small businesses, luncheon and trade show with guest speaker, Walter Bond. 10 a.m.-3 p.m. Oregon Convention Center, 777 N.E. Martin Luther King Jr. Blvd. ART BEAT. Enjoy some art, including photographs textiles, prints, sculptures, drawings and paintings. Portland Community Colleges, for complete schedule visit: http://artbeat.pcc.edu. CEASEFIRE. Annual gun turn in, no questions asked, gift certificates available. 10 a.m.-2 p.m. Redeemer Lutheran Church, 5431 N.E. 20th Ave.
OWN A HOME. Go to Lents Home Buying Fair, activities, food and a raffle for a down payment will take place. 10 a.m.-2 p.m. Kelly Elementary School, 9030 S.E. Cooper St.